Golf was a hugely successful addition to the 2016 Summer Olympics sporting events. The 2020 Olympics, to be held in golf-mad Japan, could be even bigger. This year’s competition used the traditional four-day 72-hole stroke play arrangement. If it’s possible, I’d like to see a 36-hole two-person mixed team event added to the Olympics next time. I suggest a Chapman System competition, as used in the old J.C. Penney mixed LPGA/PGA tournament. In the Chapman format, both golfers hit drives, and each plays the other ball for the second shots. The best second shot is chosen, and the partners play alternate shot into the hole. This could work if it was held before the stroke play event, giving both men and women a chance to experience the course before the four-day stroke-play events. This year’s Olympics showed that many countries could field a mixed team of high quality and real medal-winning potential. The Rookery held its Club Championship Aug. 20-21, with the opening round on the South Course and the final round on the North Course. 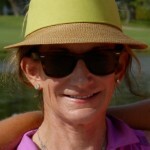 Linda Kaufman won the Ladies Championship in a three-way playoff. “It was a great match,” she said. Lisa Hutchins and Ann Reed tied for second in the tightly fought contest. Bob Burd won the Men’s Championship, with Archie Pearmon in second and Milford High’s Kyle Strassle in third. Burd also won the Senior’s category, followed by Brian Lord in second, Dale Jarrell in third, and Ed Jackson in fourth. First place net winner Bob Romberger finished 3 strokes ahead of Matt Thompson in second place, followed by Mike Cavanaugh in third, Tim Kane in fourth, John Chadderdon in fifth, and Tom Doyle in sixth. 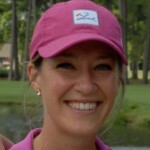 Britny Whitby won this year’s Ladies’ Club Championship at Rehoboth Beach Country Club Aug. 7, taking first place in the Championship Flight. Bailey Scheurer finished in second. In the Numbered Flight category, Sally Fogarty won first place, with Beth Carpenter in the runner-up spot. Joy Koons won her first club championship this year at Cripple Creek Country Club in Ocean View, breaking a tie after five holes of sudden death. Nate Haney retained his title for the third year in a row. The club championships took place over two days. This year’s edition of the Kings Creek Men’s Invitation Tournament featured 120 players in pleasant conditions June 17-18. Five nine-hole matches within flights were used to determine which two-man teams would be in the playoff among the flight winners. A new wrinkle this year kept interest up by also including in the playoff the top-scoring teams that weren’t flight winners. The playoff used the challenging alternate shot format on holes 1, 18, and a par-3 version of the ninth. 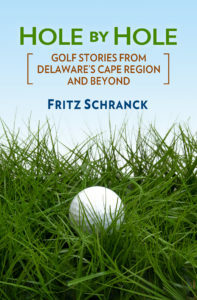 Brian Ward and Cape Henlopen High assistant golf coach Sean Toner won in sudden death after the playoff, over Jim Doane and Jack Feeney. 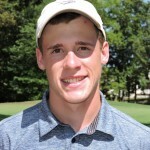 Former Cape Henlopen High golf team standout John Purple, Jr. also made an ace on the 8th hole during the June 16 practice round. Rookery South is bringing back its annual NFL Opening Night Scramble, held this year on Thursday, Sept. 8. The two-person event has a shotgun start at 2:00 p.m., with dinner after the round and, of course, the televised start of the 2016 NFL season. The entry fee of $60 per player ($45 for Rookery members) includes greens fee and cart, net and gross prizes, dinner after the round, and drink specials. For more information, contact The Rookery at 27052 Broadkill Road, Milton, DE 19966, or call them at 302-684-3000. The Kings Creek CC Ladies 9 Hole group played their Three Blind Mice game Aug. 17, where the pro shop picks which three holes’ scores are tossed. Sue Nardo won first place, with Susan Eisenbrey in second and Pat Devoli in third. 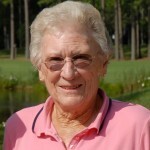 Jeanne Drake won Closest to the Pin honors on the eleventh hole. 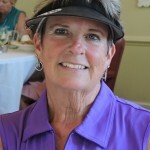 The Sussex Pines Ladies 18 Hole group played a best 2 of 3 net team game Aug. 23. Brenda Lewes, Madelyn Macklin, and Susan Shockley combined for first place. Dee Prillaman and Terry Daisey, with Macklin in an encore performance as the blind draw, came in second.